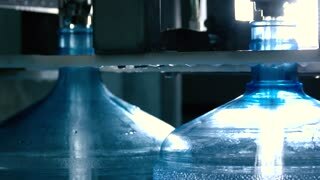 Container being filled with water. Big bottles moving on conveyor. Plant works around the clock. Five gallons of clean water. 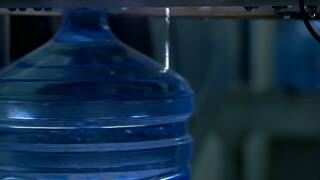 Water fills up a bottle. Stream of liquid. New conveyor at the plant. Gallons of purified water. 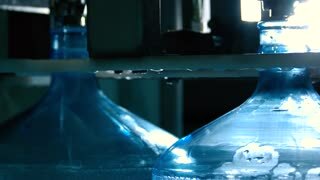 Water pouring out of bottles. 5 gallon water jugs. Plastic must be sterilized. Durable containers for liquid. 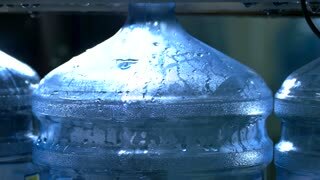 Water is filling up bottles. Bubbles in transparent liquid. Mineral water of top quality. Five gallons in each jug. 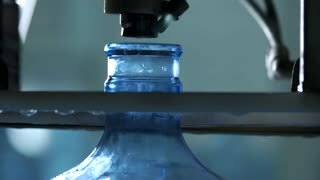 Water washing bottle. Objects on conveyor. Containers must be perfectly clean. Thick and durable plastic. 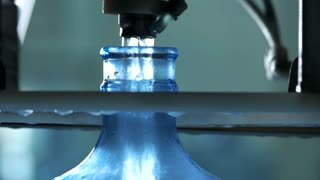 Bottle being filled with water. 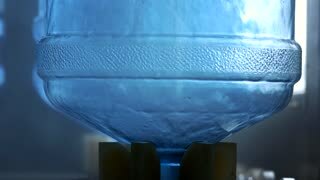 Transparent container with liquid. Clean drinking water. Five gallons of freshness. Big bottles on conveyor. 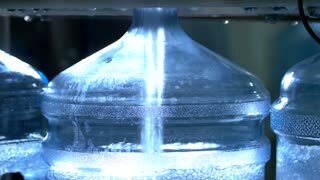 Water pouring out of containers. 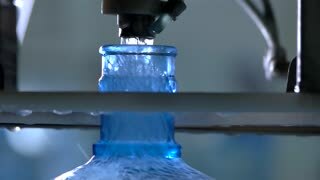 Sterilization of plastic at plant. Clean them up.